Going to the dentist can be an adventure, especially if you’re experiencing oral discomfort. Familiarity with different types of dental procedures can help. Today’s topic is dental crowns, also referred to as caps. When you think of a crown, you might imagine a king with a gold crown covering his head. Dental crowns cover the tooth, and can be gold too! There are also natural tooth colored crowns. If you are having dental issues and are considering a dental crown, your Reno, NV dentists, Drs. Wager and Evans, will be happy to discuss your treatment options. All-ceramic crowns are not an amalgam of materials, but made entirely of glass-like compounds, usually porcelain. A good choice for front teeth, they are aesthetically pleasing and provide a more natural, life-like restoration, but can wear down opposing teeth. All-Resin crowns will not wear down opposing teeth, but are vulnerable to fractures and are not as long-lasting or durable as other material. Similar to composite resin material used for fillings, they look like natural teeth and are best for anterior use (front teeth). Constructed of a metal base and covered with a porcelain veneer surface, the porcelain looks like natural teeth. However, sometimes the underlying metal can show through as a dark line. This type of restoration can wear opposing teeth, and although the metal beneath is strong and durable, the porcelain veneer can chip and fracture. Probbly the strongest and most durable, they will not chip, break, or wear considerably, and will not wear down opposing teeth. However, they are not white, and therefore not recommended for anterior dentition. 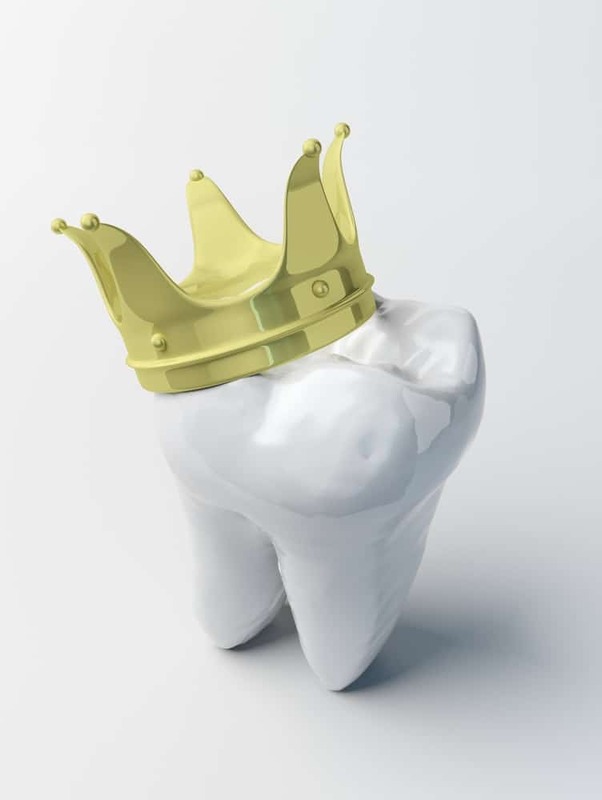 If you are in the market for a dental crown, your Reno dentists can discuss the pros and cons of the available restoration materials to help decide which is best for you.